Kauai without doubt is one of the most beautiful places in Hawaii. The island has a rugged terrain which makes a big part of it inaccessible by foot. 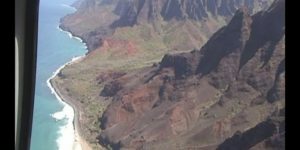 As a result, taking a sightseeing tour by air is almost a requirement when you visit Kauai. The view of the island is truly breathtaking and it is a truly memorable experience to fly in the sky and see the beauty of Kauai also known as the “Garden Isle”. The island is home to cascading waterfalls, soaring cliffs, sandy beaches, beautiful valleys, rugged canyons and a sea so blue that it will take your breath away. You will be able to experience all these things in totality, and will be able to appreciate their depth, beauty and color from up above. As you will leave the ground for the tour, you will notice a few familiar spots such as the hotel you are staying at and the shops and restaurants near your hotel. As you will move further away, you will be able to see the beautiful landscape that you can’t access via a vehicle. Kauai is home to the beautiful canyons like the Waimea Canyon that has beautiful valleys that are rugged and red in color. You will also be able to see Mt. Waialeale crater that has several waterfalls. 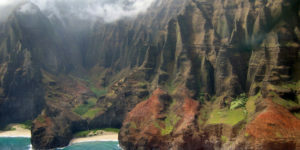 Other than this, there is the Na Pali Coast that has rocky cliffs and foamy waterfalls and the Hanalei Valley and its cliffs. 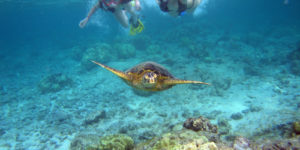 You will also be able to see Kilauea light house and the Cathedrals of Honopu, both of which are popular tourist sites. The island really is a wonder of nature, taking a tour of it by air is an experience you will never forget. Helicopter Tour Or Airplane Tour? It is hard to choose between a helicopter and plane ride. During recent times, helicopter tours have gained immense popularity but the truth is that both helicopter and plane tours have their advantages and disadvantages. There are certain sites that you will be able to access only through helicopters but airplane tours are for you if you have a specific budget. Here is a comparison between airplane tour and helicopter tour. Helicopter tour is extremely famous and a lot of people Kauai just to experience this. A helicopter is much more compact in nature which is why it can get into places where airplanes can’t. Another advantage of travelling in a helicopter is that they can fly closer and give a better view of the scenery to the passengers due to their agility. Take the example of Mount Waialeale it is open from one side, where only a helicopter can go. They are hardly affected by turbulence and can hover over a site for a few minutes unlike planes that keep moving on. Furthermore, some helicopters have tour guides that give information to passengers about the different locations. These are the reasons why helicopter rides has gained so much popularity over the past few years. There are certain disadvantages of travelling via a helicopter. The first is that it has weight restrictions, so some passengers have to pay for double seats. Furthermore, sometimes children are not allowed to ride because of age restriction and safety issues (for open door flights). Lastly, helicopter tours are way more expensive than airplane rides. Travelling by an airplane is a truly memorable experience since it gives a great view of the beautiful landscape of Kauai. Airplanes can take you anywhere other than a few valleys and waterfalls. The best part about airplane rides is that it is much more cost effective than helicopter tours. It is the perfect choice for big families who want to see Kauai by air, as airplanes can easily accommodate them at an extremely affordable price. Infants are counted as ‘lap passengers’ and travel free of cost. The reason for the low price is that airplanes use up less fuel than helicopters which helps in saving money and makes the whole experience a bit more eco friendly. Furthermore, there are no age or weight restrictions which means anyone can fly freely. Another advantage is that air plane tours are noise free unlike helicopter tours.